Corporate and law firm leaders call on Gina for high-stakes public relations, crisis planning, and incident response support including high profile litigation media relations. One of the most widely acknowledged experts on legal marketing and law firm public relations, Gina Rubel is a sought-after speaker and media expert. Listed among the 2018 Lawdragon Global 100 Leading Consultants and Strategists to the Legal Profession, Gina founded and continues to lead Furia Rubel Communications, the award-winning PR and marketing agency that has become a leading legal marketing and professional service communications boutique. The full-service marketing and public relations shop has been listed among the leading agencies by the National Law Journal, The Legal Intelligencer, New Jersey Law Journal, and Philadelphia Business Journal. 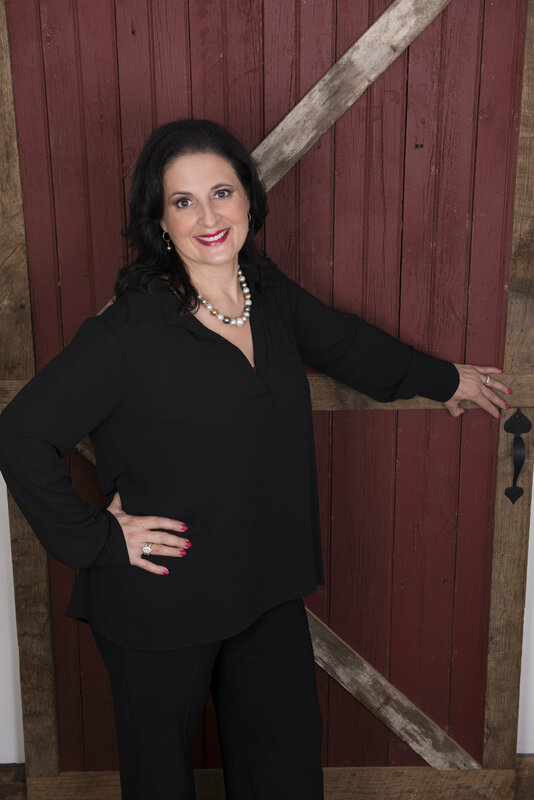 Under Gina’s direction, Furia Rubel provides strategic planning, marketing, public relations, media training, and content marketing services to a variety of specialized industries. Gina’s legal background complements her unparalleled intuition as a client advocate and business diplomat, allowing her to partner with professional clients to achieve their objectives. She and the Furia Rubel team are always focused on the clients’ unique selling proposition, brand, key messages, and target audiences. As a result, Furia Rubel has developed and executed award-winning programs with outstanding ROIs. From industry-recognized marketing campaigns to media coverage, Gina and her team deliver exceptional results. Gina didn’t discover legal communications and marketing — she just repositioned it for a new century. While actively practicing law, Gina served on a Supreme Court of Pennsylvania Disciplinary Board Hearing Committee for six years where she conducted legal ethics reviews of other attorneys. Since then, she has become a nationally sought-after speaker and reveals the secrets to law firm communications success in her book Everyday Public Relations for Lawyers. She regularly presents to legal, financial, and government professionals, corporations and universities regarding ethics, legal marketing, social media, strategic public relations, crisis communications, and media training. A graduate of Drexel University and Widener University School of Law, Gina lives in Doylestown, Pennsylvania, with her husband, two children, rabbits, chickens and dogs. Gina Rubel is actively involved in community organizations. She is a volunteer and child sponsor with Pearl S. Buck International, with which she has traveled to the Philippines on a cultural mission tour, and she supports the mission of CB Cares Educational Foundation. In addition, she serves as treasurer/secretary of The Justinian Foundation which provides scholarships to law school students in the Philadelphia region. Gina is a member of the Legal Marketing Association for which she serves on its Ethics and Advertising Advocacy Working Group and on a regional nominating committee. She also is a member of the American, Bucks, Pennsylvania and Philadelphia Bar Associations, Justinian Society (past chancellor), Philadelphia Public Relations Association, Public Relations Society of America, and Women Owned Law for which she was a founding member, member of the board of directors, and currently serves on the advisory board. She is the past chair of the Communications Committee for the Drexel University Alumni Association for which she also served as an elected member of the Board of Governors. 2015 Recognition, Commonwealth of Pennsylvania, Senate of Pennsylvania, Hon. Charles J. McIlhinney, Jr.
2010 Recognition, Commonwealth of Pennsylvania, Senate of Pennsylvania, Hon. Charles J. McIlhinney, Jr.